Located at the foot of Little Italy, our North Beach location is steeped in the legacy of the city we call home. 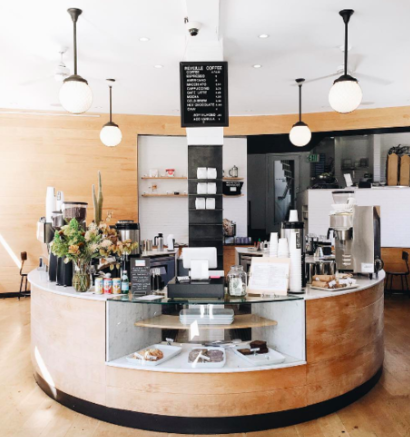 At the geographic and physical intersections of the lawless Barbary Coast, Chinatown, North Beach, and Jackson Square, our first brick-and-mortar café embodies everything we love about San Francisco. With City Lights Bookstore out one window and the Zoetrope building out the other, the clean design, full kitchen, and superb coffee of our North Beach shop offers a contemporary experience in the heart of old San Francisco.